We’re excited to unveil Visit Thomasville, an interactive way to plan the perfect day in Thomasville! 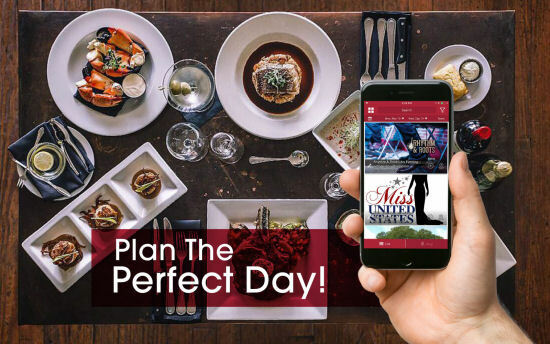 Plan your day with the Visit Thomasville website or download the app. The app is FREE and available for iOS and Android devices. The Visit Thomasville website, with an integrated mobile app, provides a new way for visitors and locals to explore everything our city has to offer. Search for upcoming events, area restaurants, tap and tasting rooms, hotels, shopping, and points of interest. See something you don’t want to miss? Click “Add” and the information will be added to your Plan. No need to waste another sheet of paper – planning is now digital. Visit Thomasville can help you get organized and maximize your time! Already on your way to Thomasville or live here? Download the app to your mobile device and take your plan with you! You can also share your plan with others directly through social media or email.